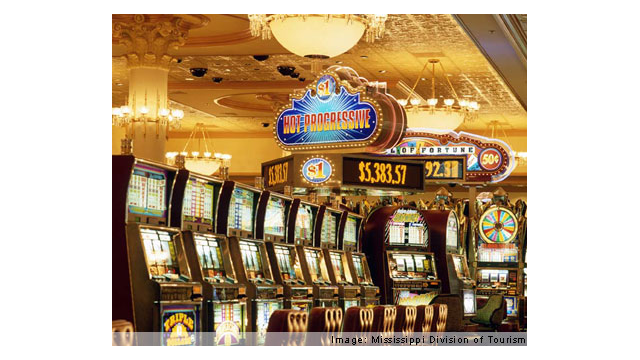 Gaming revenue in Mississippi is down almost 5 percent so far this year. Despite a bump up in May, Gulf Coast casino revenues are also down. MPB’s Evelina Burnett looks at why some casinos are doubling-down on their bet on gaming on the Coast. Marketing director Bradley Rhines points out some new and future features of the Golden Nugget casino in Biloxi. Landry’s acquired this property, the former Isle of Capri, last year. It’s renamed it and is spending $100 million on renovations, including new restaurants, meeting rooms and a ballroom, which will let it start offering headline entertainment. Rhines says this is what attracts new visitors to the casino and the region. Gulf Coast gaming revenues have been on the decline since 2008. Casino Operators Association director Larry Gregory says with the expansion of gaming nationally, Mississippi casinos will need to find new ways to attract visitors. Also in Biloxi, the Hard Rock Casino is spending $32 and a half million dollars to add 154 hotels rooms to the property. General manager Duncan McKenzie says they’ve had enough demand to warrant the expansion. McKenzie is also president of the new three-county tourism bureau on the Gulf Coast. He says more hotel rooms are part of what the coast needs to bring in more visitors from farther away. McKenzie also says the coast will need to look at creating new attractions and expanding current ones, such as golf and ecotourism.